* Bryan Arce, was selected to the ThreeBestRated.com list of top Employment Attorneys. The list is issued by ThreeBestRated.com. A description of the selection methodology can be found at https://threebestrated.com/about-us. No aspect of this advertisement has been approved by the Supreme Court of New Jersey. ** Bryan Arce was selected to the Million Dollar Advocates Forum. Membership to the forum is issued by Million Dollar Advocates Forum. A description of the selection methodology can be found at http://www.milliondollaradvocates.com/ No aspect of this advertisement has been approved by the Supreme Court of New Jersey. ***Bryan Arce was selected to the group of Best Attorneys of America, issued by Rue Ratings' Best Attorneys of America. A description of the selection methodology can be found at https://www.bestattorneysofamerica.com/. No aspect of this advertisement has been approved by the Supreme Court of New Jersey. ***Bryan Arce was awarded the 2018 International Advisory Experts Award in Employment Law, issued by International Advisory Experts. A description of the selection methodology can be found at http://international-advisory-experts.com/membership/. No aspect of this advertisement has been approved by the Supreme Court of New Jersey. 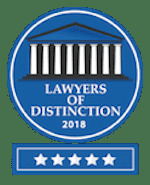 *Bryan Arce was awarded the 2018 Lawyers of Distinction Award in Employment Law, issued by Lawyers of Distinction. A description of the selection methodology can be found at https://www.lawyersofdistinction.com/how-to-become-a-member/. No aspect of this advertisement has been approved by the Supreme Court of New Jersey. * Bryan Arce, Erica Shnayder, and Gregory Kirschenbaum were selected to the Super Lawyers list. The Super Lawyers list is issued by Thomson Reuters. A description of the selection methodology can be found at https://www.superlawyers.com/about/selection_process.html. No aspect of this advertisement has been approved by the Supreme Court of New Jersey. **Erica Shnayder was recognized by the American Society of Legal Advocates (ASLA). Membership in ASLA is issued by ALSA itself. A description of the selection methodology can be found at: https://societyoflegaladvocates.org/selection-process/. No aspect of this advertisement has been approved by the Supreme Court of New Jersey. ***Erica Shnayder was selected to the Multi-Million Dollar Advocates Forum. Bryan Arce was selected to the Million Dollar Advocates Forum. Membership to both forums is issued by Million Dollar Advocates Forum. A description of the selection methodology can be found at http://www.milliondollaradvocates.com. No aspect of this advertisement has been approved by the Supreme Court of New Jersey. **** Bryan Arce was selected to the group of Best Attorneys of America, issued by Rue Ratings' Best Attorneys of America. A description of the selection methodology can be found at https://www.bestattorneysofamerica.com. No aspect of this advertisement has been approved by the Supreme Court of New Jersey. + Lawyers of Distinction is published by Lawyers of Distinction. A description of the selection methodology can be found at https://www.lawyersofdistinction.com/how-to-become-a-member/. Bryan Arce was awarded the 2018 Lawyers of Distinction Award in Employment Law. Bryan Arce is licensed to practice in New Jersey. No aspect of this advertisement has been approved by the Supreme Court of New Jersey. ++ The Clients Choice Award is published by AVVO. A description of the selection methodology can be found at https://support.avvo.com/hc/en-us/articles/208478156-What-is-the-Avvo-Rating-. No aspect of this advertisement has been approved by the Supreme Court of New Jersey. ◊ Bryan Arce received “Lead Counsel” ratings in Employment Law. The “Lead Counsel” rating is issued by Thomson Reuters. A description of the selection methodology can be found at https://www.leadcounsel.org/for-attorneys or https://www.leadcounsel.org/for-consumers. No aspect of this advertisement has been approved by the Supreme Court of New Jersey. ◊◊ Bryan Arce, was selected to the ThreeBestRated.com list of top Employment Attorneys. The list is issued by ThreeBestRated.com. A description of the selection methodology can be found at https://threebestrated.com/about-us. No aspect of this advertisement has been approved by the Supreme Court of New Jersey. Arcé Law Group, PC has an on-going co-working relationship with with Phillips & Associates, PLLC. ("P&A"). Potential and actual clientsare advised that P&A employees may or will be working on a Client's case and/or representing the Client. Arcé Law Group, PC and P&A will be jointly responsible for any Client's case.